Look young and say goodbye to Grey hair! A breakthrough product that will bring back the natural color of your crowning glory! 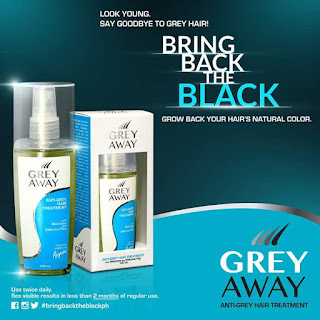 Grey Away is for people with visible grey hair that brings back the natural color of hair strands and prevents it from turning grey without the risk of the harmful effects of colorants. 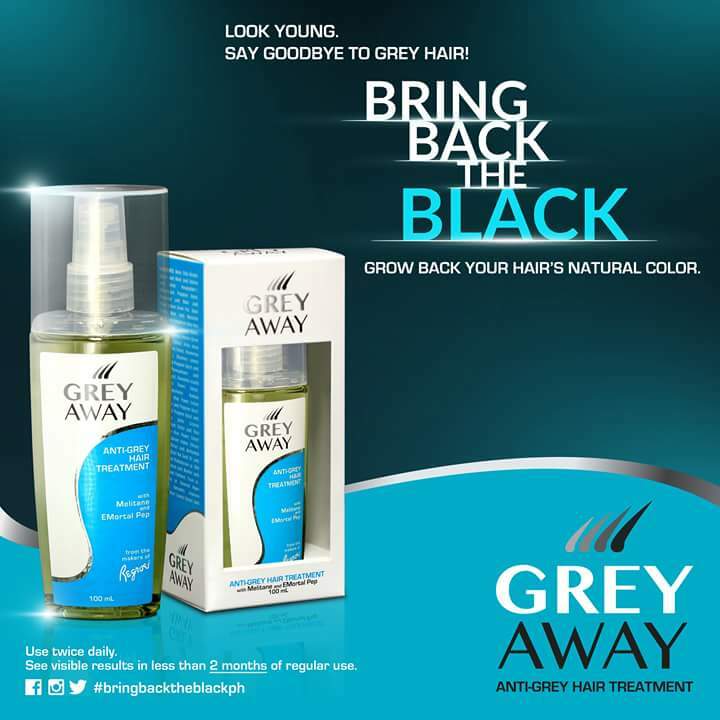 For only Php 995.00, Grey Away is available in all leading drugstores, selected supermarkets, and department stores nationwide. For more information like Grey Away’s official facebook page https://www.facebook.com/Grey-Away-101783003500982/timeline/ and follow @greyaway on Instagram.